4 Bedroom Semi Detached Bungalow For Sale in Plymouth for Offers Over £200,000. Set in the popular development of Stamford Close. 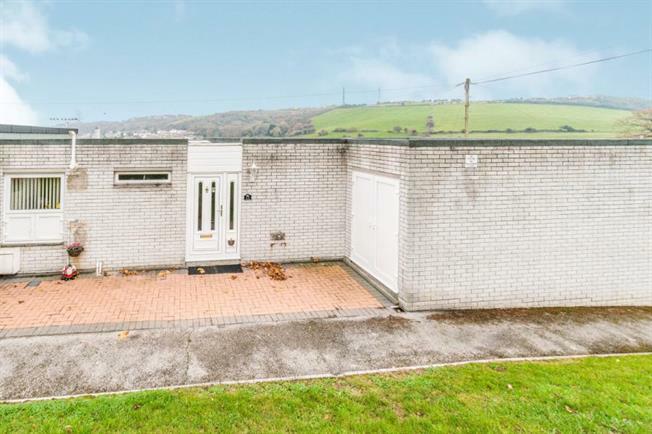 This semi detached bungalow itself offers four bedrooms, lounge/diner, kitchen breakfast room, wet room, separate WC and plenty of storage cupboard's. Immediately to the rear is a walled patio garden which is accessed via patio doors directly out of the lounge. Benefits include stunning views of the countryside and golf course. Gas central heating, New UPVC double glazing, two large locking storage sheds at front of property with electricity and allocated parking. The property is situated just two minutes walk from the beautiful panaramic and outstanding sea views of Jennycliffe it is a short walk to the leisure centre and Mount Batten pier and surrounding areas. In the other direction a two minute walk, there is also the very pretty Hooe lake. Hooe village has shops and two good takeaways, a garage and is on a regular bus route to the broadway shopping centre, Plymouth and Saltash.